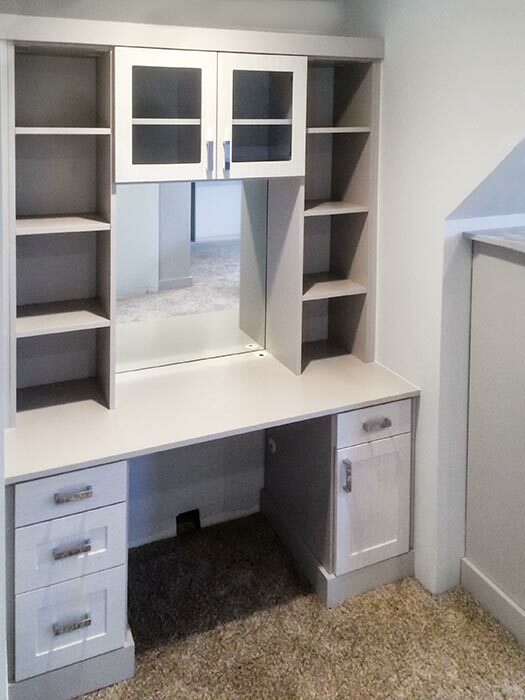 This custom master closet design rises to the challenge of odd shaped areas under angled ceilings, transforming what could have been a problem into a prime asset that adds valuable storage within a luxurious and artfully designed space. A large center island provides plenty of drawers and shelving, while hanging areas on the low walls offer a solution for the tight space under the sky lights. Square, cube style shelving fits neatly into small, recessed, angled corners, adding useful cubbies for storage in a space that might otherwise be wasted. On one side of the room, a custom dressing table anchors the wall, taking advantage of natural light from the adjacent sky lights. A cabinet featuring glass doors and under-cabinet lighting above a large mirror is flanked by more shelving on the sides of this vanity. Drawers below the countertop add the perfect storage for hair brushes, makeup and everything the lady of the house might need when getting ready for a special night out. The opposite wall holds a wall unit that includes 14 shelves that are perfect for storing folded items like sweaters or even for organizing shoes and purses. The cabinets above keep less used items dust free but accessible. 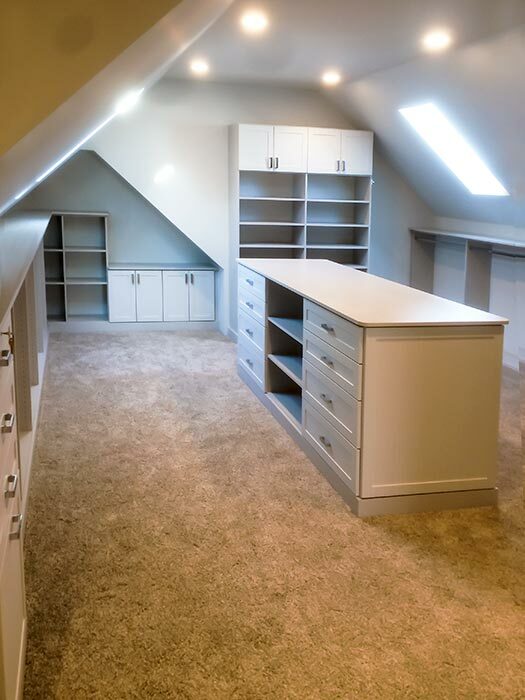 Many homes feature closets that are located over a garage or other area with heavily sloped or angled ceilings and can be a challenge to design. 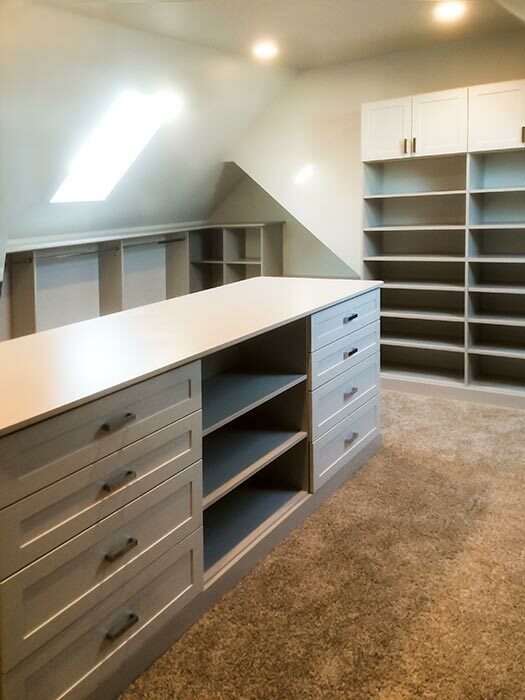 Closet Works can transform any potential problems into beautiful spaces that add functionality and beauty to a home — It just may end up as your favorite part of the house.